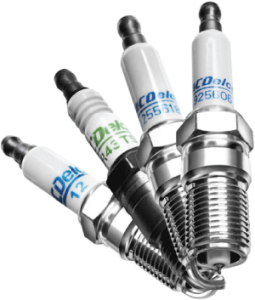 ACDelco and RockAuto has put together their forces and released the ACDelco 2017 consumer spark plug rebate in which anyone eligible can get up to $3 cash back per plug. ACDelco is considered a leading supplier of GM auto replacement parts. With more than 90,000 parts along 37 item lines, ACDelco is proud to say that its products are all over the globe. As a premier supplier of auto replacement parts and services, its main focus is to build a reputation as the Nr. 1 source of automotive parts. The quality parts that ACDelco is able to offer include car systems, off-road equipment and marine or industrial items. The product portfolio usually includes, like spark plugs, air filters, maintenance parts, oil filters, brakes, car batteries and wiper blades, but also radiators, heating/cooling items or alternators. All rebates are valid between 01 January and 31 December 2017. Rebates are valid only on purchase of professional spark plugs. All info must be completed accurately. All submissions should be postmarked by 31 January 2018. All participants should allow 6 to 8 weeks for rebates to be processed. All participants can check their rebate`s status by visiting https://mycertifiedservicerebates.com/#/ or by phone at (844) 656 5369. All submissions should be postmarked by 27 January 2017. Allow six to eight weeks for processing the order. Check your rebate`s status by visiting reward-central.com/acdelco or giving a call at 844 656 5369. This rebate is only valid on Rapidfire or professional spark plugs ordered and installed along this year. The rebate deal is valid only for ACDelco Rapidfire Perforamnce Single Platinum, ACDelco Professional Double Platinum, ACDelco Professional Iridium, ACDelco Professional Double Platinum. All info must be completed properly and legibly. If ordered from a particular retailer, enclose UPC blocks from the qualifying ACDelco spark plug boxes.